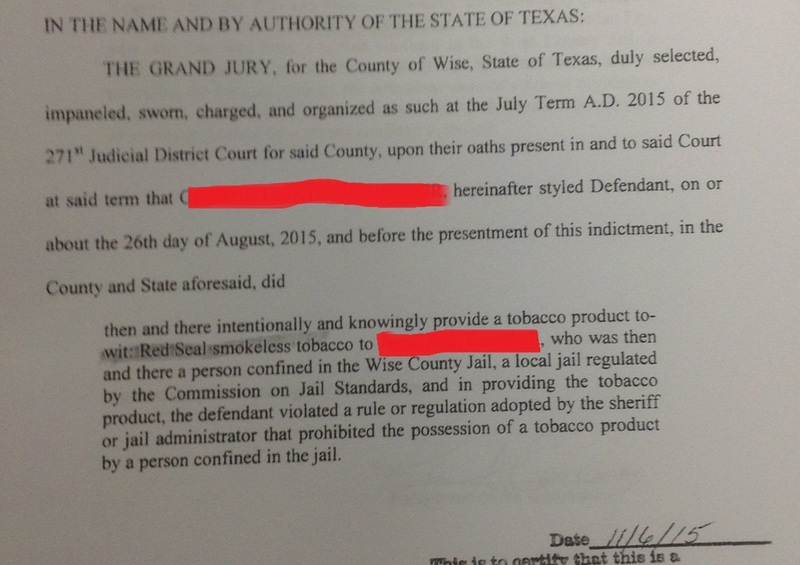 A long term Wise County resident gets indicted for a felony for allegedly providing snuff (!!!!) 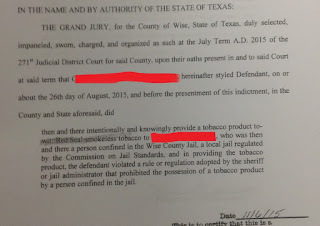 to an inmate who is a Trustee and on a work crew outside of the Wise County Jail. You kidding me? That's your tax dollars at work. This is my new client. I think I could try this tomorrow, not utter a word, and get a not guilty verdict in about five minutes.